1. Find the neighborhood caffè. Italians love to stand at the bar while perusing soccer match results on a newspaper. 2. Order the coffee of your choice. Remember that this is the only time of day to enjoy milkier drinks, like cappuccino or latte macchiato, without being teased. Make the most of it! The Italian take on the French croissant is usually smaller, lighter, less buttery and slightly sweet. 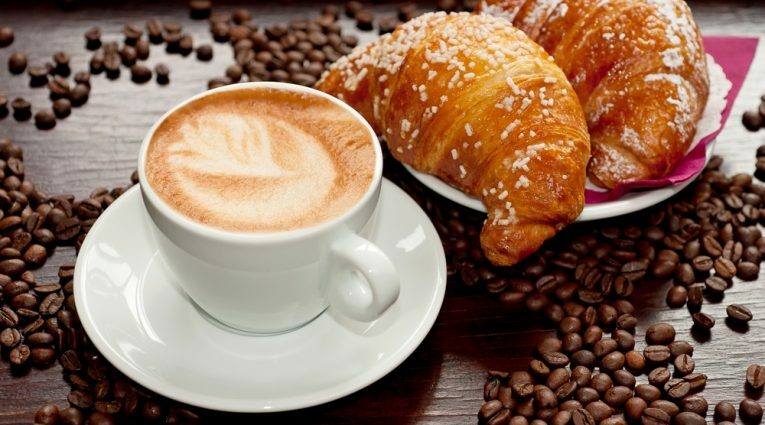 Many Italians love to drink a cappuccino for breakfast together with their croissant: each sip pairing perfectly with a bite of cornetto. The Italian breakfast tart is filled with your choice of fruit jam, such as “amarena” (sour cherry), “albicocca” (apricot) or “frutti di bosco” (wild berry). Try it, you won’t be sorry! Italy’s colonisation by the Austro-Hungarian Empire in the 19th century had its upside: a vast selection of rich baked goods like cream-filled brioches and strudel di mele, an Italian adaptation of the traditional Viennese apfelstrudel. At home, Italian breakfast may consists of caffè latte or coffee with bread or rolls, butter and jam. They commonly eat a cookie-like rusk hard bread, called “fette biscottate”, and/or cookies. 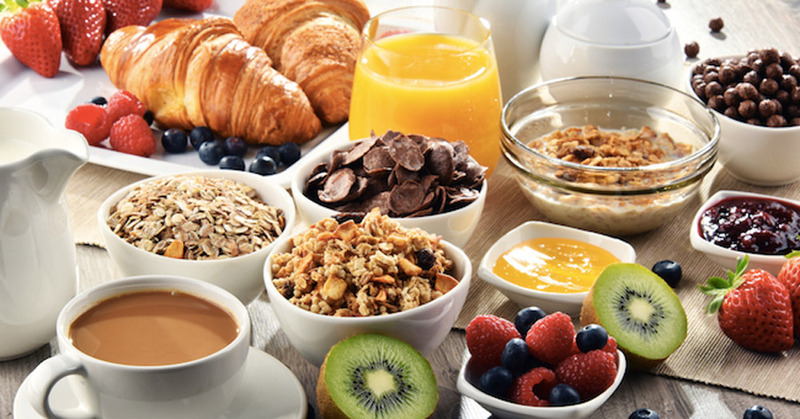 So you won’t find donuts, pancakes, scrambled eggs, ham, sausages and similar, but you will probably find Nutella, cereals, yogurt, fruit or fruit juice, tea. Children drink hot chocolate, plain milk, or hot milk with very little coffee.